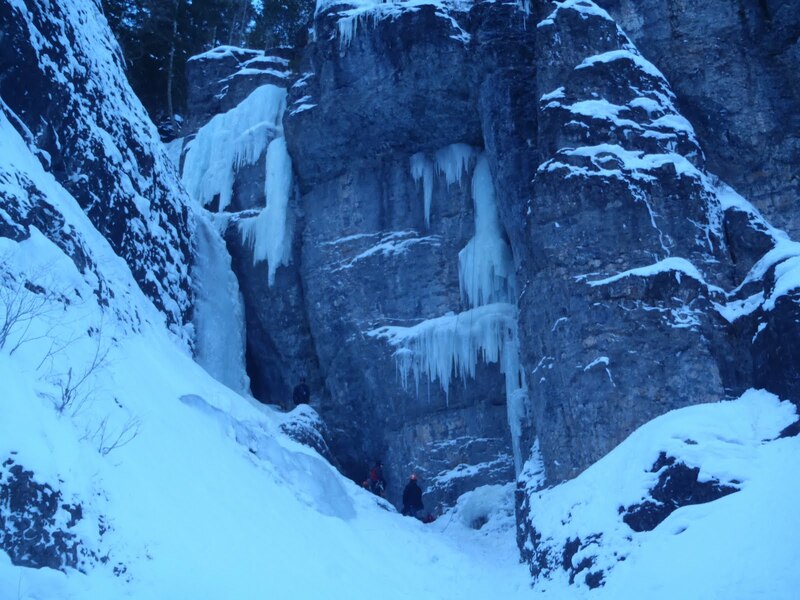 What the ice looks like on the Killer Pillar, a mixed route that we climbed after the Skylight. This route is only one pitch tall and pretty exciting. In mixed climbing, you have to use the ice and the rock with your crampons and ice axes. 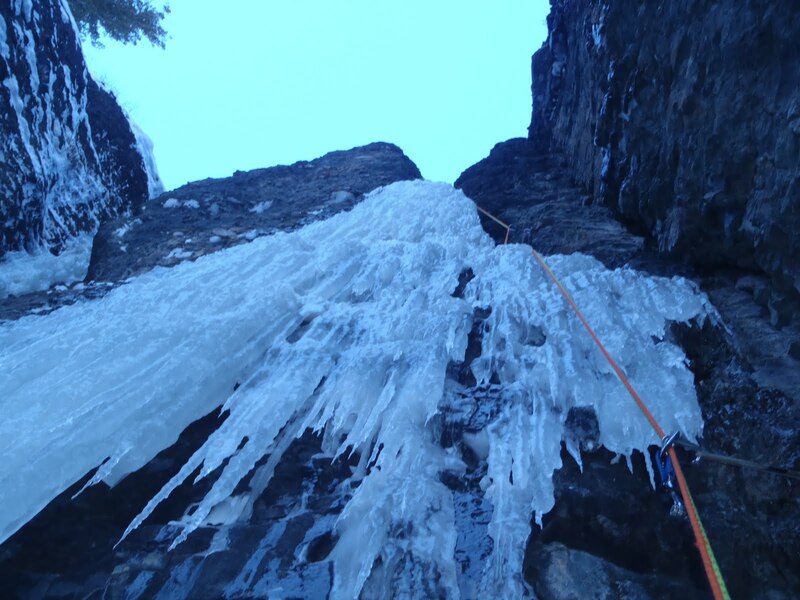 Ice screws are still used but cams and nuts are also placed in the rock just like traditional climbing. Chris at the top of the Killer Pillar. Notice that he is standing on the rock on either side of the ice. 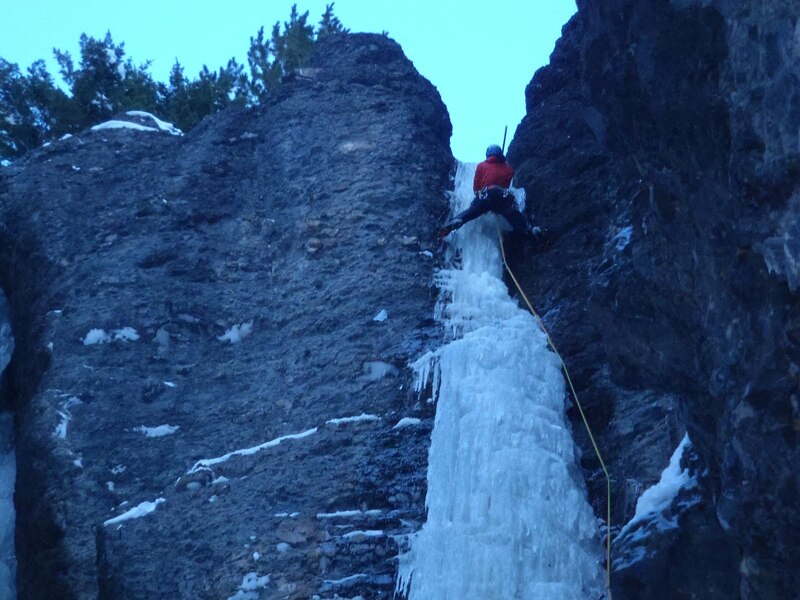 Some the the other ice routes in Ouray. As you hike up the road the waterfalls are within a few feet from the side. Chris and I at the top of the waterfall. We rappelled off the pine tree in the picture. The top of the Skylight. I am deep inside that crevice. The ice was really solid and easy to climb. If you got tired you could just lean on the walls because it was so narrow. 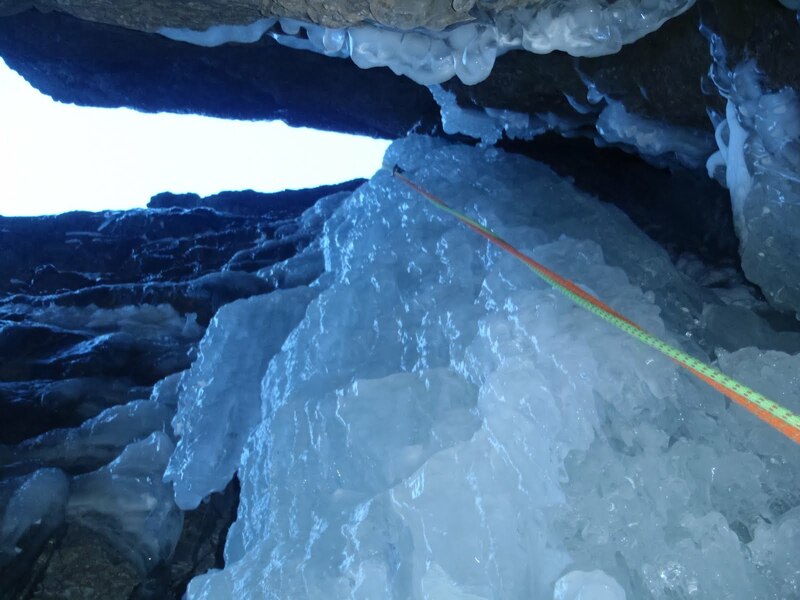 We use two ropes in ice climbing in case one rope gets cut by a crampon or ice axe or falling ice. The two colors help remind the climbers which one is set for pulling while on rappel. 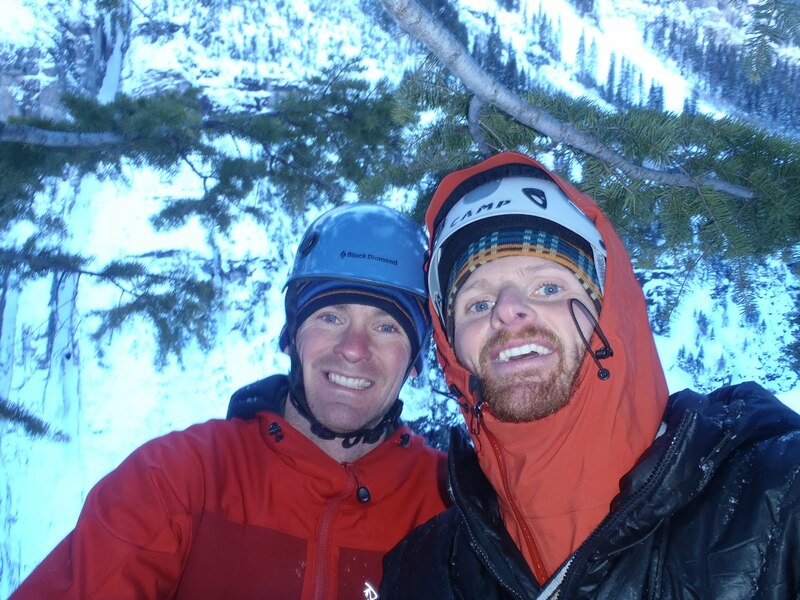 What normally happens when you ice climb is that your hands begin to freeze after 30-40 feet. then you try to rest and shake and get the blood flowing again. After you begin climbing again, your hands warm up and the rest of the route is quite nice to climb. If it is really cold out, your hands will be cold the whole way and then after you stop the blood will return and a feeling a great pain blasts through your hands as they warm up.